Catamarans are the Formula 1 of the sea! To sail and plane over the waves at high speeds in a Catamaran without any other noise than the wind and wves is an unforgettable experience. 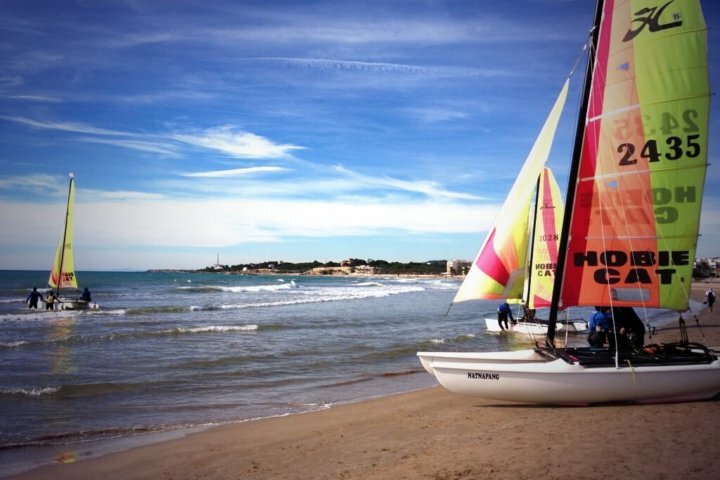 There is many beaches and surroundings where you can practise this sport in Spain, and good places with excellent conditions to initiate with absolute safety in dinghy sailing.